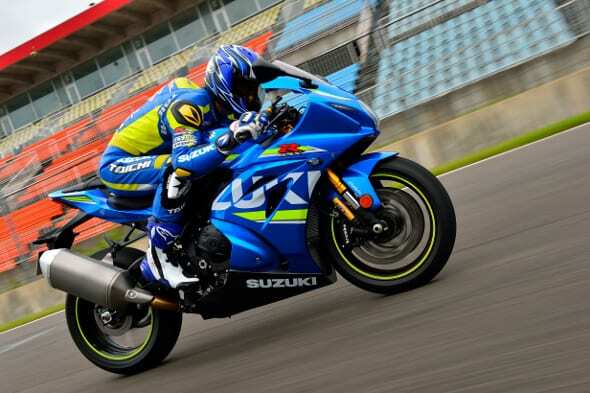 The GSX-R1000 swaps from the bucket tappet arrangement to a new finger follower design. The means that the moving mass is only 3 grams, enabling high revs, reduced friction and bigger power. The new system incorporates a larger intake valve (up 1.5mm to 31.5mm), and a smaller exhaust valve diameter – whose material has switched from steel to titanium. 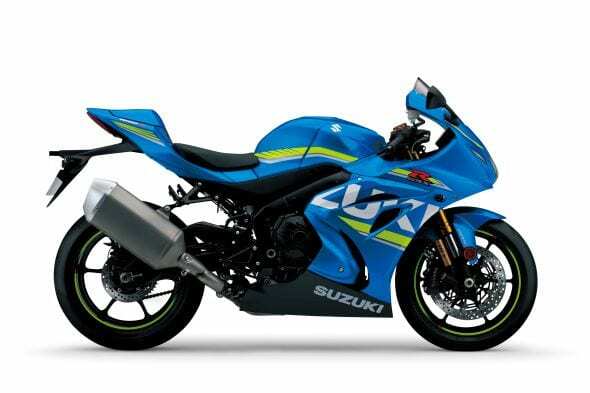 Like most machines, the GSX-R1000 uses a power valve in the exhaust, termed the Suzuki Exhaust Tuning-Alpha (SET-A). Catchy, no? 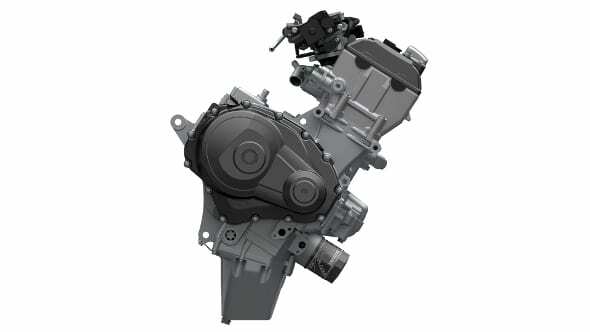 These are no located in the balance tubes near the top of the headers and are designed to up top end power. The Suzuki Top Feed Injectors (S-TFI) are housed in the top of the airbox and controlled by the ride-by-wire throttle bodies. A primary and secondary injector are used for more precise fuelling, while the whole system is said to increase combustion efficiency. The new frame now offers a 20mm longer wheelbase, at 1,425mm. It’s 10 per cent lighter than the outgoing version and the big visual change is the removal of the triangulating spur off the main beam. 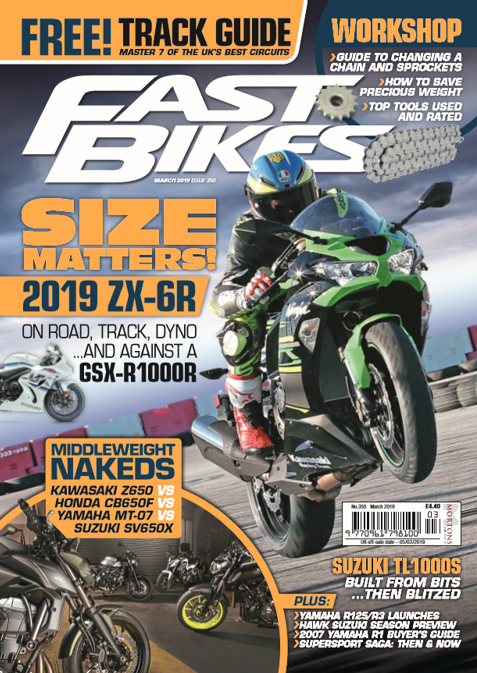 It’s also 20mm narrower than before, which should mean that the GSX-R will feel like a plaything beneath you – especially when taking into account the new tank design. 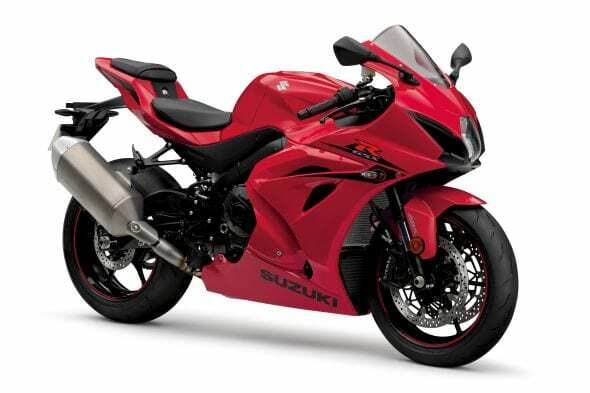 The swingarm is all new too. The ram air system has been redesigned to located it closer to the centre of the fairing. There’s a slim new LED headlight befitting the redesign. The R version uses Showa’s gas charged Balance Free Front forks, as debuted on the ZX-10R (and one possibly reason for the delay of the bike). At the rear the Balance Free Rear Cushion lite is employed. 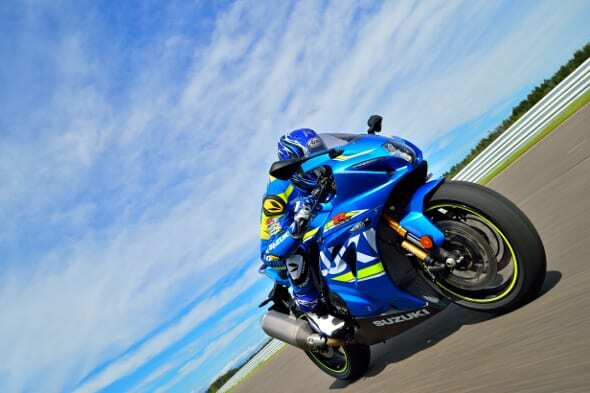 Suzuki picked Brembo’s monoblocks with four 32mm pistons using a 14mm radial master cylinder. 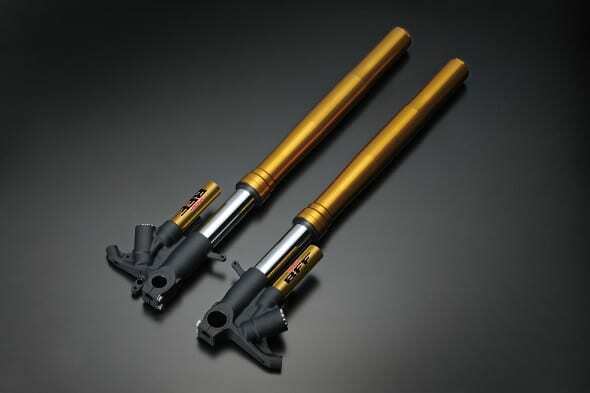 The front brake lever is also slotted, a nod to track performance. The R gets 10mm bigger front discs (320mm) and uses a design with less floating pins. 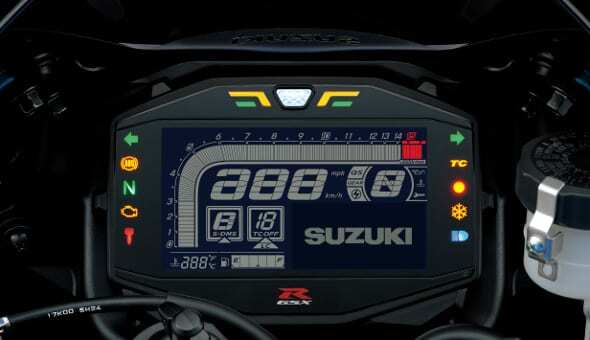 Both bikes use a Motion Track Brake System, that essentially culls rear lift on the standard bike, but incorporates cornering ABS on the R.
Using throttle position, wheel speed sensors, a gear position sensor and a crank position sensor, the IMU detects if a drama is about to turn into a crisis and will either control the throttle valve or retard ignition timing. There are ten levels to choose from. Launch control on the R uses a specific map to ensure a swift getaway with you just concentrating on clutch release rather than throttle application. The new dash isn’t coloured, but it is certainly rammed with info – way more than has been featured before.